Restore Ubin Mangroves (R.U.M.) Initiative: Awesome April with R.U.M. This month, the RUMblers (as R.U.M. volunteers call ourselves), cleaned up R.U.M. sites, checked R.U.M. sites for plant health, did the monthly R.U.M. walk and also contributed to conversations about Ubin. 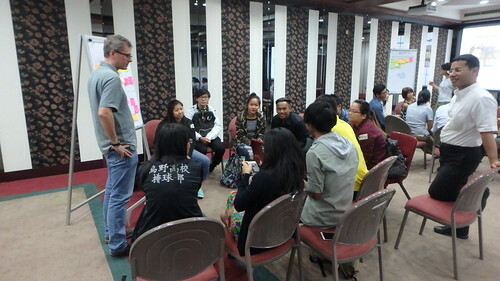 Rachel Quek and her team continue their dedicated work filming R.U.M. and Ubin. Thank you Chen Xi, intern for the Restore Ubin Mangroves (R.U.M.) Initiative. Her ideas, talent and support had made this an awesome April! Thank you to all the volunteers led by Lisa Lim for cleaning up the mangroves at a site designated for restoration by R.U.M.! What a great way to celebrate Earth Day! Thanks to Liz Lim for sharing more photos and the difficulties of removing fish nets entangled in tree roots. A small team of RUMblers spent Good Friday holiday to check out the mangrove trees at RUM Site 2 which can only be easily done by kayak! Thanks to Liz Lim for lovely photos of this effort. During the May Day long weekend, RUMblers once again spent time sharing about R.U.M. and Ubin mangroves. We are joined by awesome participants, some of whom signed up as volunteers after the walk! Thanks to Mohammad Juhari for lovely photos as usual. Thanks to Chen Xi for the awesome photos and for organising the walk with the support of many key R.U.M. volunteers. As a bonus, Ubin was already all dressed up for the upcoming Tua Pek Kong Festival! Rachel Quek Siew Yean's team is filming for National Geographic about Ubin and the Restore Ubin Mangroves (R.U.M.) Initiative. This time sharing the story of Heire Augustin and his family who live on Pulau Ubin near one of the R.U.M. sites. 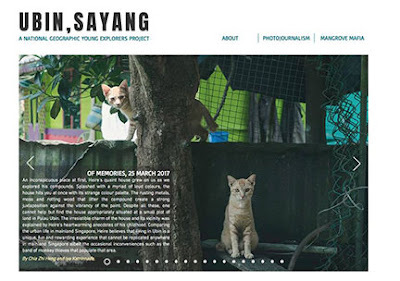 Enjoy the gorgeous images and story in the latest blog post on Ubin, Sayang. The Restore Ubin Mangroves (R.U.M.) 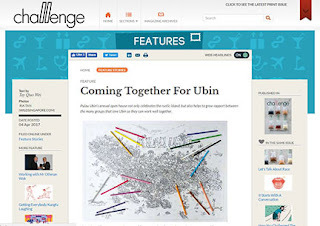 Initiative was mentioned in "Coming together for Pulau Ubin", a feature article about Pesta Ubin in 'Challenge', a magazine of the Singapore Public Service, distributed to 120,000 public officers. 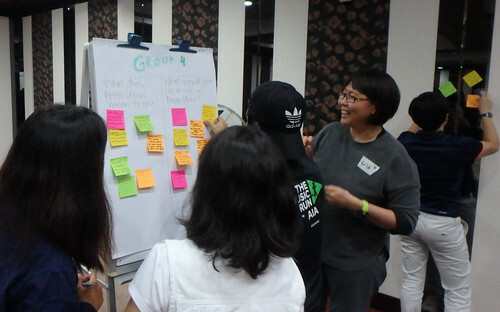 The feature article highlights some less obvious aspects of Pesta Ubin such as building trust, how it provided opportunities for bonding over commmon interest, and for community and agencies to work hand in hand. R.U.M. was cited as an example of bonding over common interests following the Ubin Open House! The Restore Ubin Mangroves (R.U.M.) Initiative were part of this Workshop to get ready for Pesta Ubin 2017! 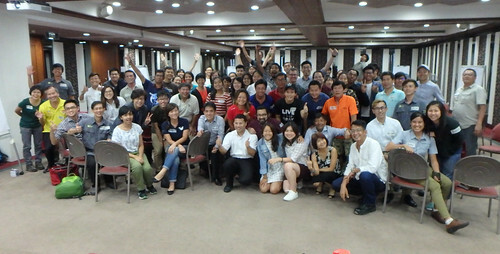 RUMblers joined about 70 people passionate about Pulau Ubin from 20 Organising Groups to share ideas on how we can all improve Pesta Ubin together. And to collaborate with others on Pesta Ubin and Ubin issues. R.U.M. will be a part of Pesta Ubin 2017. Look out for us there! 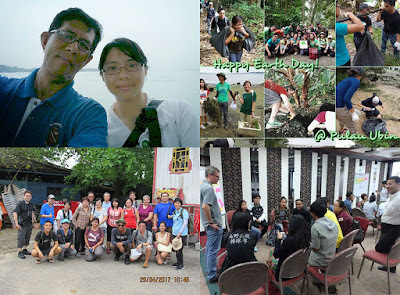 20 May(Sat): FREE Ubin mangrove fun with R.U.M.